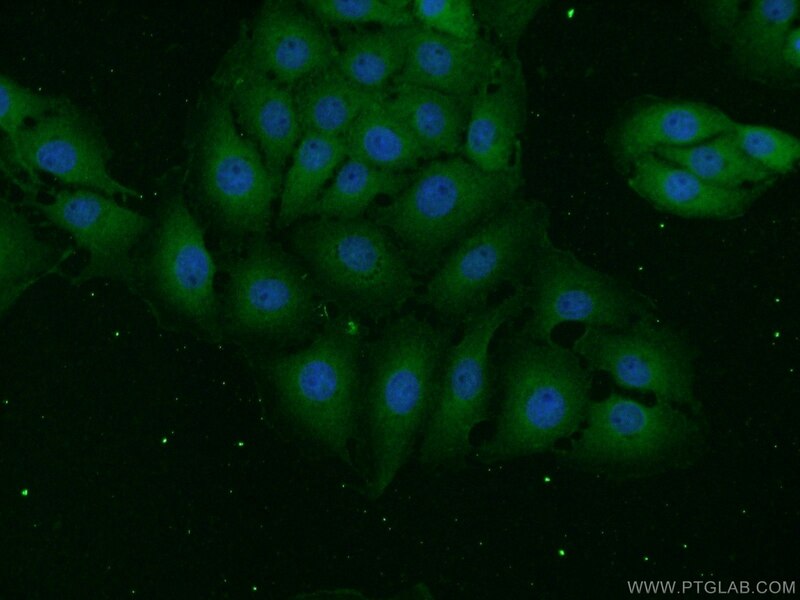 Immunohistochemical analysis of paraffin-embedded human hypothalamus tissue slide using 66230-1-Ig( UCHL1 Antibody) at dilution of 1:500 (under 10x lens). Immunohistochemical analysis of paraffin-embedded human hypothalamus tissue slide using 66230-1-Ig( UCHL1 Antibody) at dilution of 1:500 (under 40x lens). 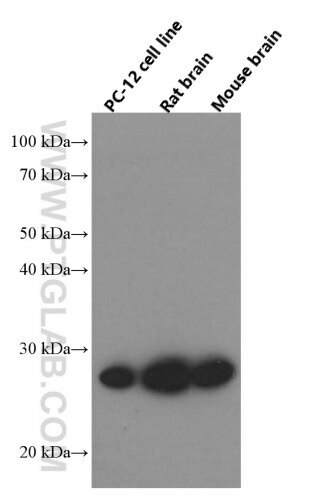 UCHL1(Ubiquitin carboxyl-terminal hydrolase isozyme L1) is a member of a gene family whose products hydrolyze small C-terminal adducts of ubiquitin to generate the ubiquitin monomer. Expression of UCHL1 is highly specific to neurons and to cells of the diffuse neuroendocrine system and their tumors. It is present in all neurons(PMID: 6343558). 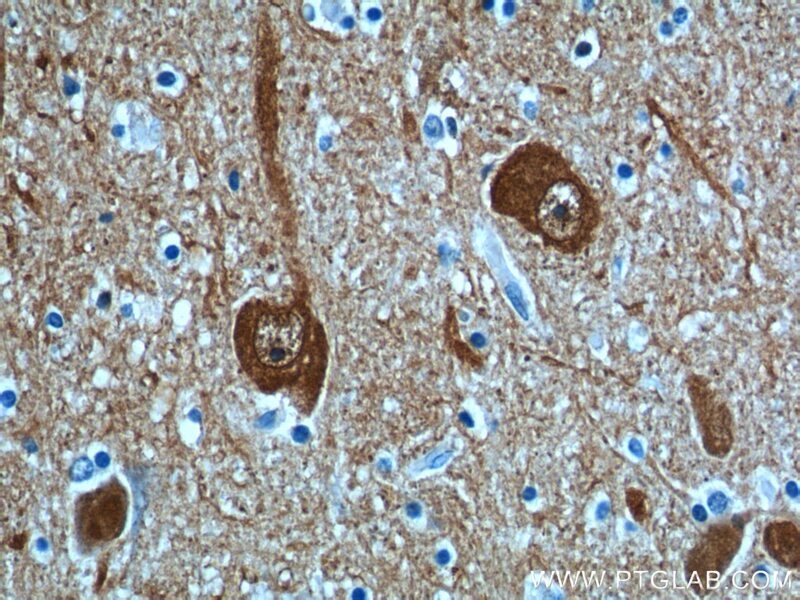 This protein is present in brain at concentrations at least 50 times greater than in other organs and is a major protein component of neuronal cytoplasm (PMID:7217993). 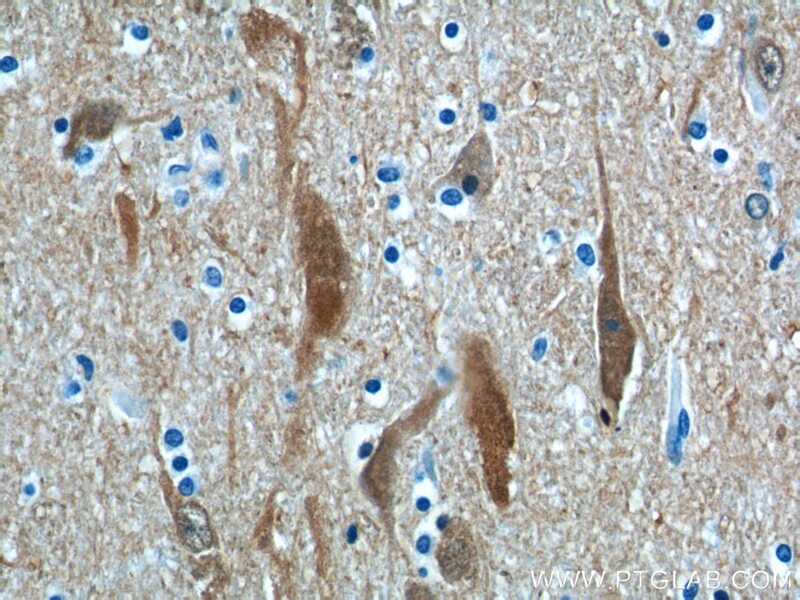 And UCHL1 is a Parkinson's disease susceptibility gene (PMID:15048890). Role of the Ubiquitin C-Terminal Hydrolase L1-Modulated Ubiquitin Proteasome System in Auditory Cortex Senescence. 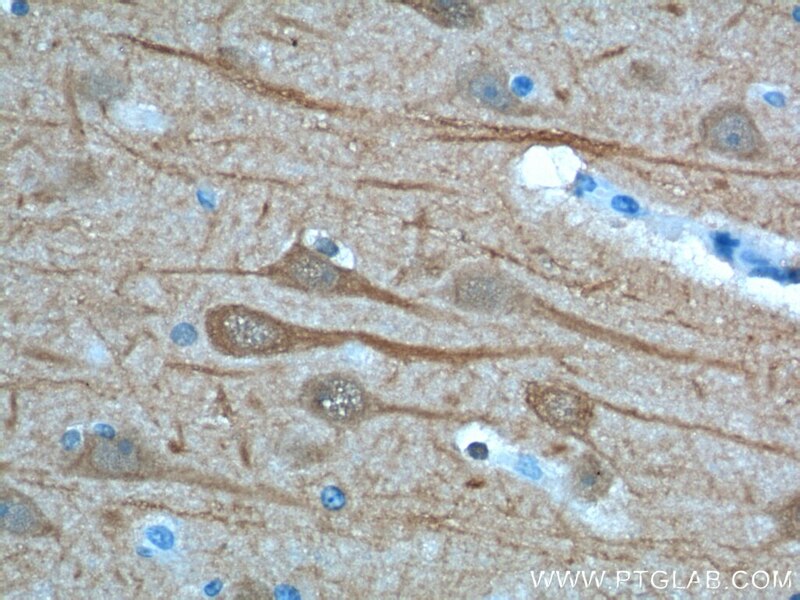 Immunohistochemical analysis of paraffin-embedded human brain tissue slide using 66230-1-Ig( UCHL1 Antibody) at dilution of 1:1000 (under 10x lens). heat mediated antigen retrieved with Sodium Citrate buffer (pH6). 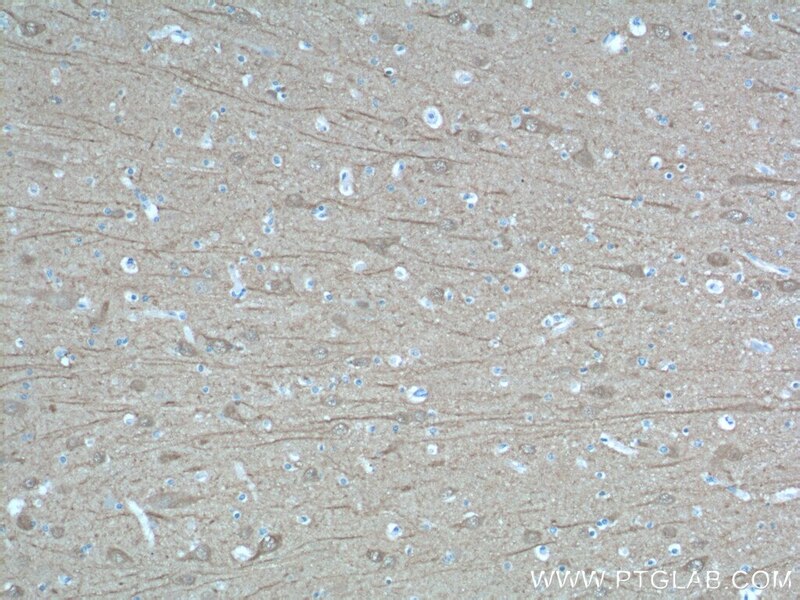 Immunohistochemical analysis of paraffin-embedded human brain tissue slide using 66230-1-Ig( UCHL1 Antibody) at dilution of 1:1000 (under 40x lens). heat mediated antigen retrieved with Sodium Citrate buffer (pH6). 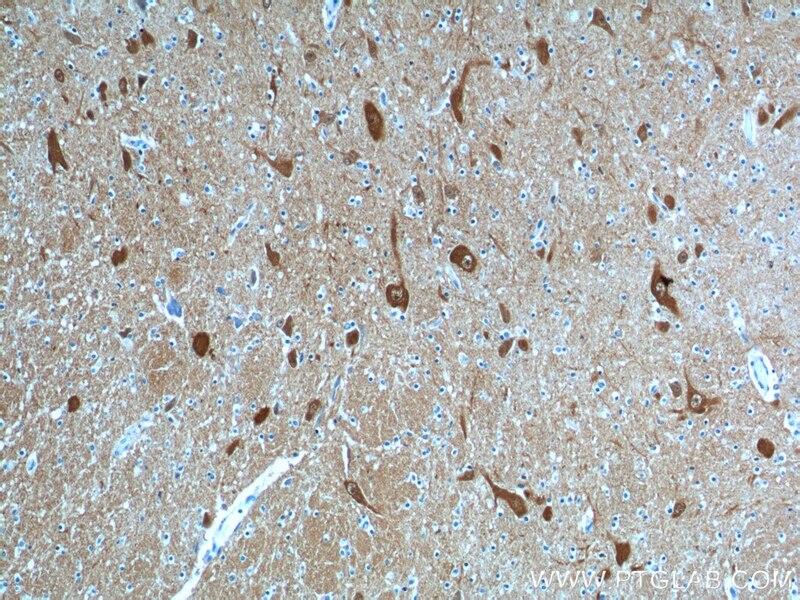 Immunohistochemical analysis of paraffin-embedded human brain tissue slide using 66230-1-Ig( UCHL1 Antibody) at dilution of 1:500 (under 10x lens). heat mediated antigen retrieved with Sodium Citrate buffer (pH6). 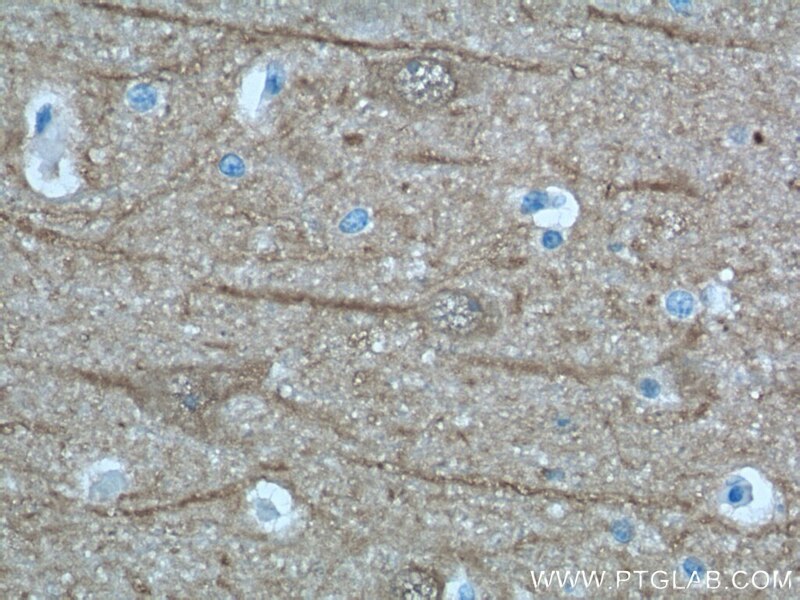 Immunohistochemical analysis of paraffin-embedded human brain tissue slide using 66230-1-Ig( UCHL1 Antibody) at dilution of 1:500 (under 40x lens). heat mediated antigen retrieved with Sodium Citrate buffer (pH6). 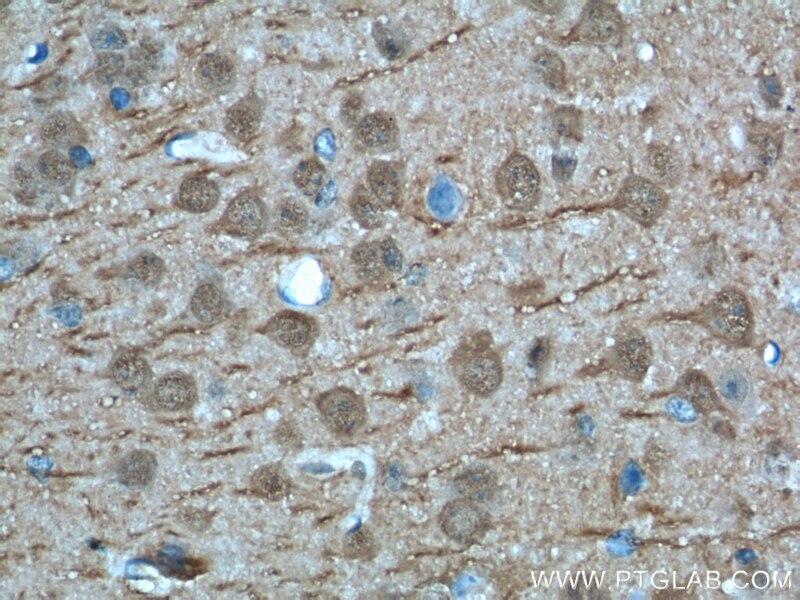 Immunohistochemical analysis of paraffin-embedded human hypothalamus tissue slide using 66230-1-Ig( UCHL1 Antibody) at dilution of 1:2000 (under 10x lens). 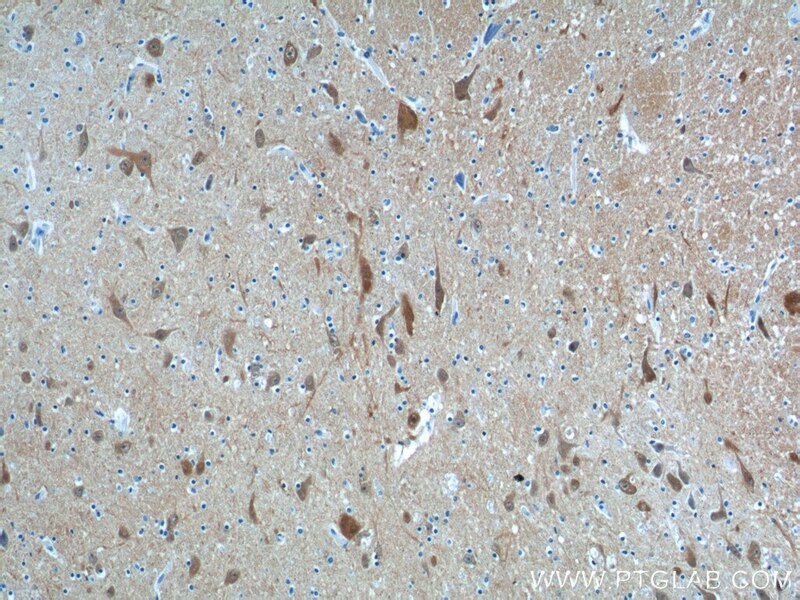 Immunohistochemical analysis of paraffin-embedded human hypothalamus tissue slide using 66230-1-Ig( UCHL1 Antibody) at dilution of 1:2000 (under 40x lens). 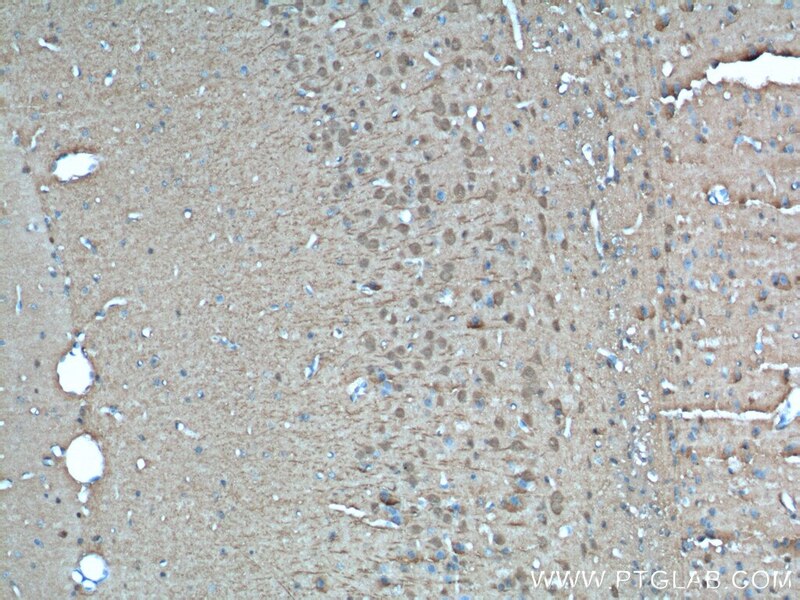 Immunohistochemical analysis of paraffin-embedded mouse brain tissue slide using 66230-1-Ig( UCHL1 Antibody) at dilution of 1:500 (under 10x lens). heat mediated antigen retrieved with Sodium Citrate buffer (pH6). 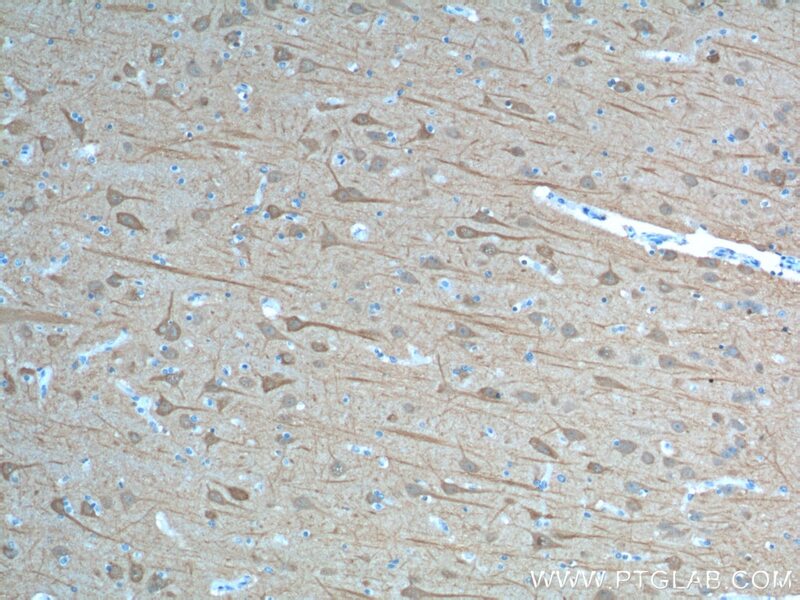 Immunohistochemical analysis of paraffin-embedded mouse brain tissue slide using 66230-1-Ig( UCHL1 Antibody) at dilution of 1:500 (under 40x lens). heat mediated antigen retrieved with Sodium Citrate buffer (pH6).